FEES: The fee for proft organizations/businesses is $185.00/ 10’ x 10’ space and $235.00/ 10’ x 20’ space. The fee for 501 C 3 nonproft organizations is $65.00/ 10’ x 10’ space and $90.00/ 10’ x 20’ space. Spaces are located on 10th Street between Church & Court Streets, next to Honesdale’s Central Park. Spaces will be assigned by Roots & Rhythm. Special requests will be considered, but cannot be guaranteed. will be advised approximately one week prior to the event. ELECTRICITY: Electricity is available. No personal, outside/stand-alone generators will be permitted. The fee for electrical hook-up is listed on page one. Please include Electric, Extra Seating Space and Vendor Fee in one check or money order. previous arrangements have been made. Early tear down/departure is not permitted under any circumstances. Absolutely NO vehicles are permitted on Food Vendor Row, for ANY reason until the concert is totally over. between 8th & 9th Streets. wind. Event is RAIN or SHINE. All tables and chairs brought by the vendor must ft within the space that they have rented and paid for. You areNOT permitted to use the park for extra seating. TRASH: As we are a zero waste event, there are collection containers throughout food row for disposing of food waste/compostables, recyclables, and trash/landfill. If you would like to collect your food scraps in a separate pail during the event, we will take it at the end of the event and add it to the food waste collected from the festival goers for composting purposes. In addition, you are welcome to dispose of your recyclables and trash/landfill materials at one of the stations set up in food row, yet if you choose not to sort, you will be responsible for disposing of your own mixed waste at the end of the day. Borough and park trash cans are not to be used for this purpose. You are responsible for bringing home all spent cooking fuels. Last year we had several mixed bags of waste left behind by some of the food vendors. This creates unnecessary work for our Sustainability Team and is unacceptable. 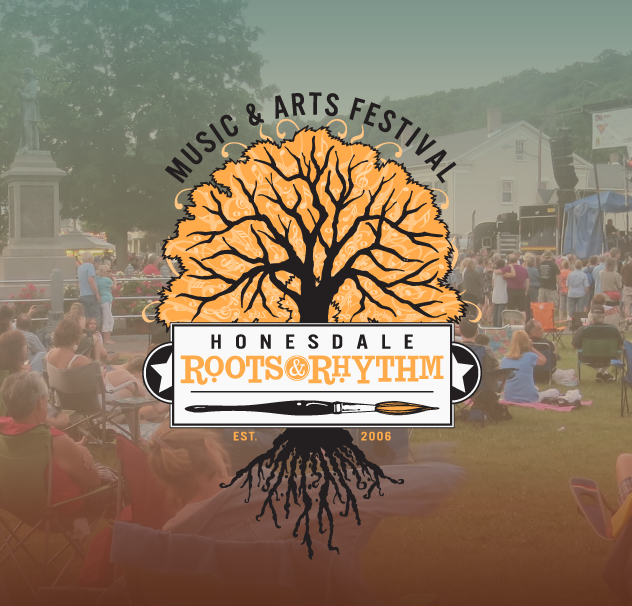 Any vendor caught littering or leaving their waste behind will be fined by Honesdale Borough and not invited back for future festivals. SALES: All sales of food and beverage must be conducted on 10th Street.NO SALES OF ANY KIND ARE PERMITTED IN CENTRAL PARK.